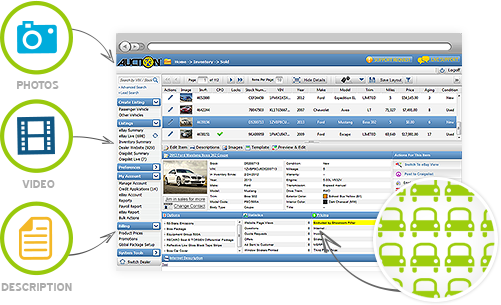 Auction123’s innovative inventory management solutions provide the most advanced and easy-to-use tools to save your dealership time and boost efficiency. Get inventory online faster with our web-based software so you can start selling your units the same day they come in! Our comprehensive data management controls put you in the driver’s seat when it comes to when and how your vehicle information updates. 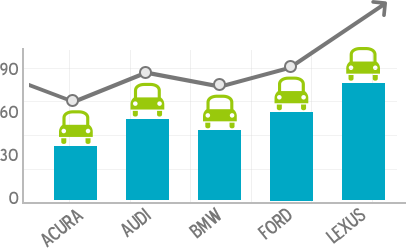 With our ground-breaking field level locking system and bulk updating tools, you determine which data points are updated from your imports on a per vehicle basis. Never before have dealerships been afforded this level of control over their inventory data. 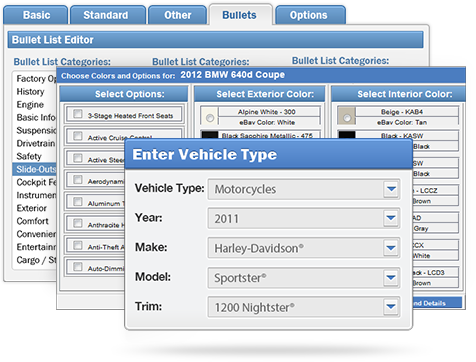 Upon import or manual creation of your inventory, the Auction123 system will automatically populate most vehicle data. For automotive inventory, our Enhanced VIN Decoder will add OEM specifications and features on cars or trucks 1981 or newer. Motorcycle and Powersports inventory will automatically populate the specifications, features, and a stock image for most units 2004 or newer by matching year, make, model and trim – RV and Camper model data will also include a floor plan and populates for units 2008 or newer. 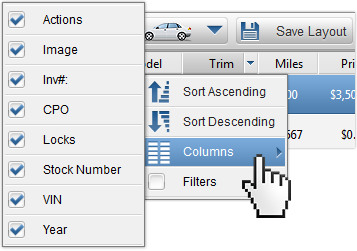 Each user of the Auction123 system can customize the Dashboard data grid to display the exact information that is pertinent to their needs. Performing daily tasks is a snap with in-line editing and quick actions menus integrated throughout the system. Access comprehensive inventory reports from your Auction123 dashboard. Set your search parameters and quickly generate reports to easily identify inventory that is missing images, pricing, descriptions, or units that are sold. 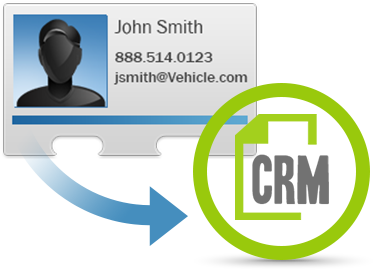 Leads that are submitted via your online vehicle presentations can be delivered seamlessly to your CRM solution in ADF/XML format. Your dashboard includes lead search tools to quickly search and find inquiries from your eBay or inventory ads. Leads can also be delivered directly to any specified contact you prefer.